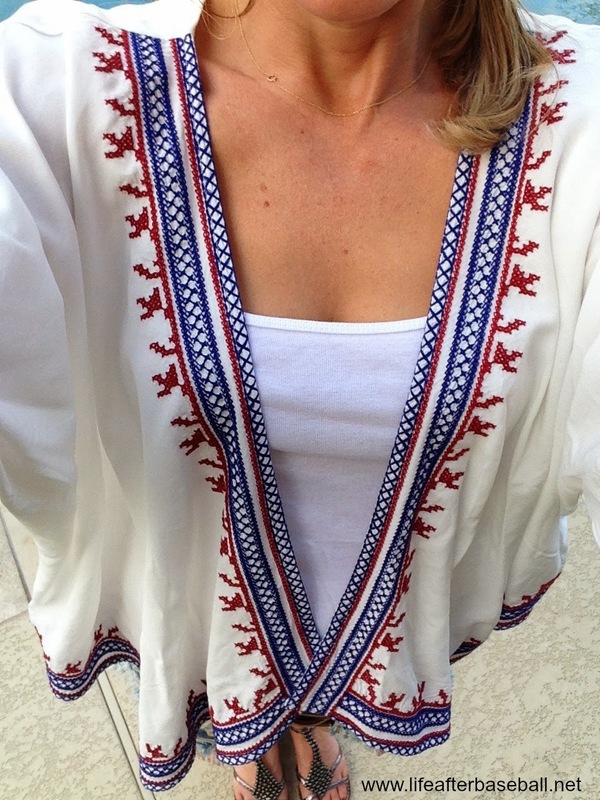 Life After Baseball: Friday Favorites...Do You Kimono? 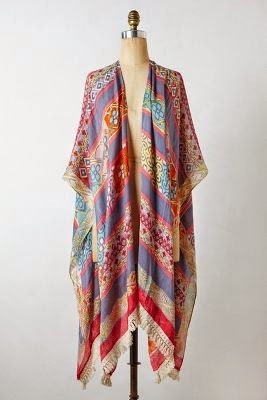 Kimono's are all the rage right now and they have really grown on me over the past few months. 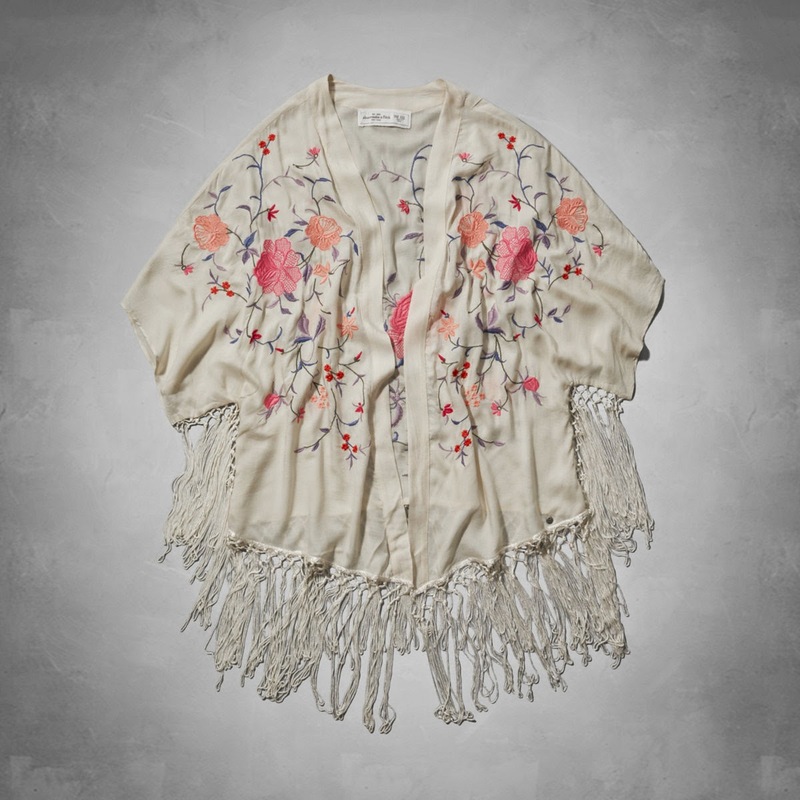 Everyone can wear a kimono but finding the right one is key. I purchased my first one a couple of months ago and my second one last week, both from Forever21. 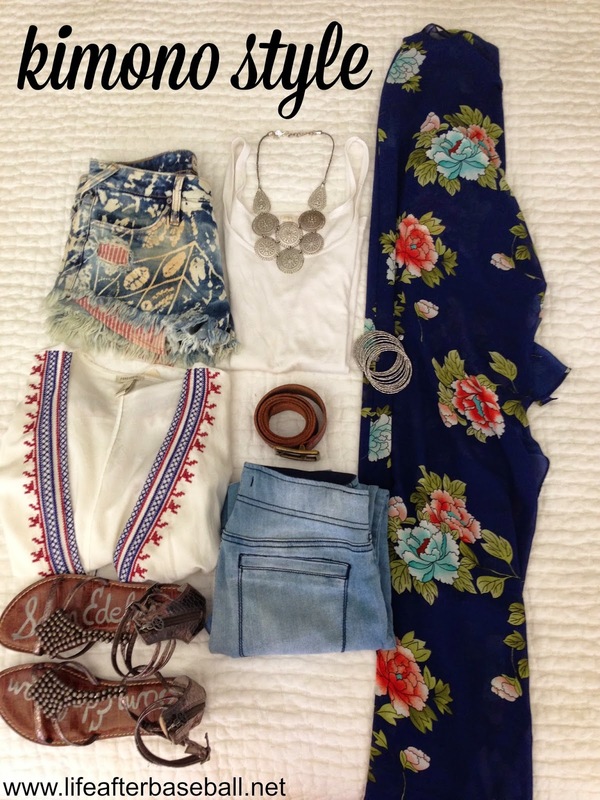 This boho look will be fun for the spring/summer without putting a huge dent in my pocketbook. 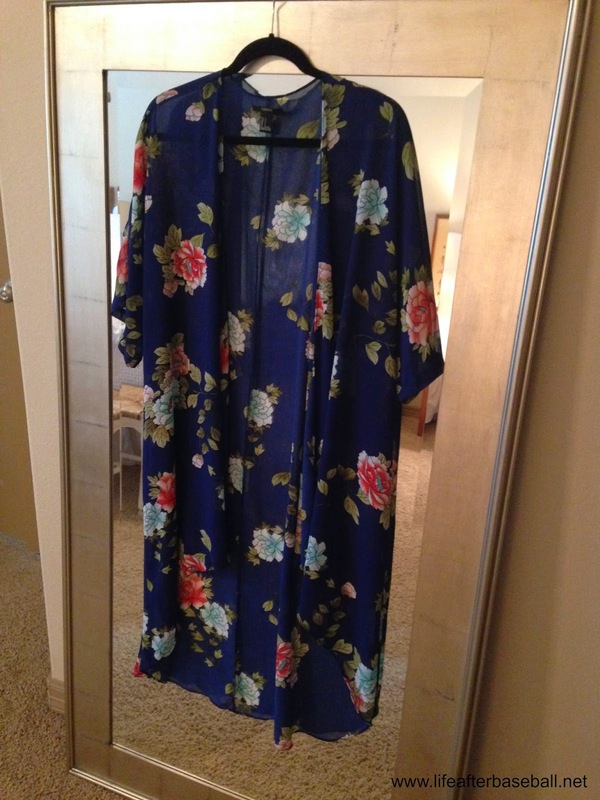 Plus, I wanted the option of wearing a long or short kimono so two for the price of one isn't bad. 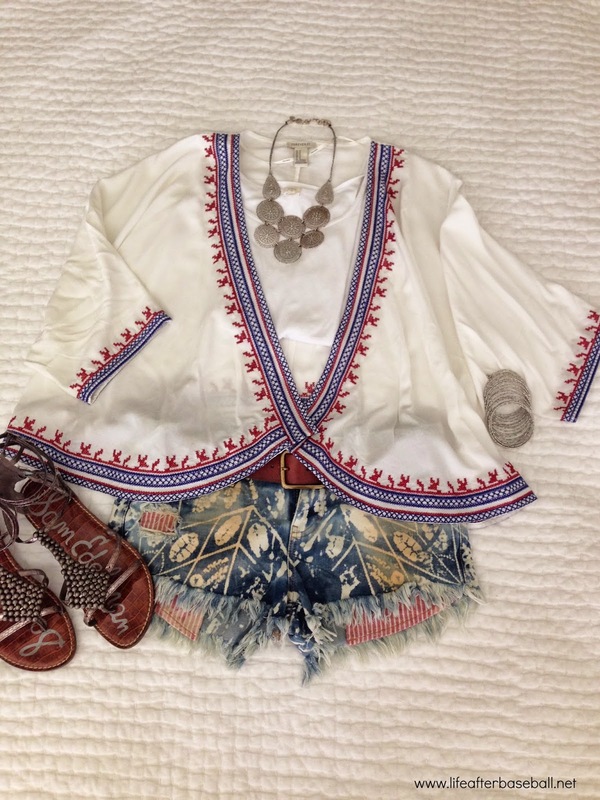 Pairing the short kimono with denim shorts, silver jewelry and gladiators makes it boho official. 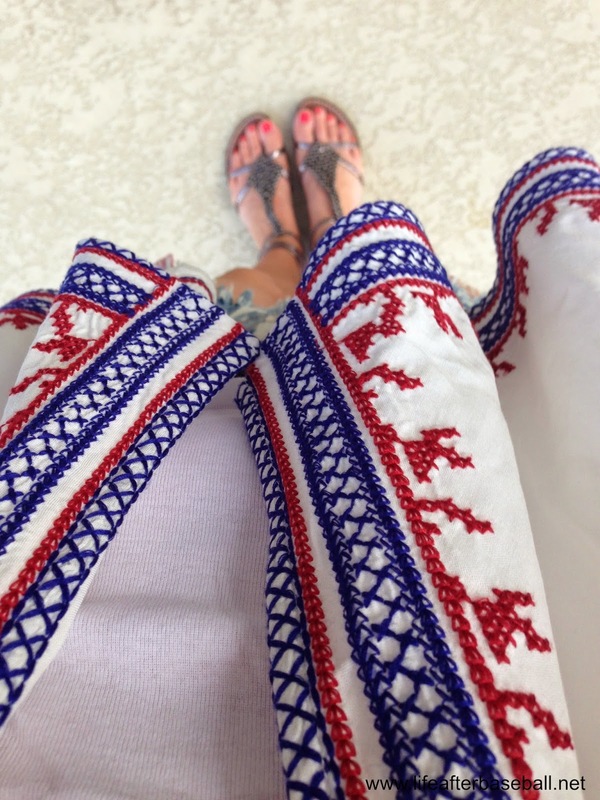 I wanted the option of wearing a long one with denim shorts, jeans or even a dress!